Directors get into habits, just like the rest of us. However, when they do it, they get to call it their "style." This means you can often tell a director’s work because of the use of certain camera angles or other tricks that they find they like, and then use over and over again. For director J.J. Abrams, that particular trick has been the lens flare. He uses it a lot. However, you might have noticed that Star Wars: The Force Awakens had significantly less lens flare than the director’s previous work. It turns out he was told he needed to cool it by somebody whose opinion he listens to: His wife. J.J. Abrams was appearing on The Late Show with Stephen Colbert when the host brought up a previous conversation the two had regarding Abrams' penchant for the lens flare. The camera trick has become a joke among movie fans. The director uses them incessantly. It turns out that we’re not the only ones who noticed, though. Abrams’ wife, Katie McGrath, herself noticed it, and, at one point, decided the man was overdoing it and needed to quit. J.J. Abrams’ wife, Katie McGrath, is a PR executive with previous political experience as an aide to Senator Ted Kennedy and I think we all owe her a debt of gratitude. If there had been a scene in Star Wars: The Force Awakens where we couldn’t actually see what was going on, needless to say, there may have been riots on opening night. It got so bad in Star Trek Into Darkness that the lens flare just didn't make any sense. Try and count them all. This isn’t the first time that the director’s wife has influenced his filmmaking either. Abrams credits her as one of the people who convinced him to direct Star Wars: The Force Awakens in the first place. Check out the relevant clip from the Colbert interview below. 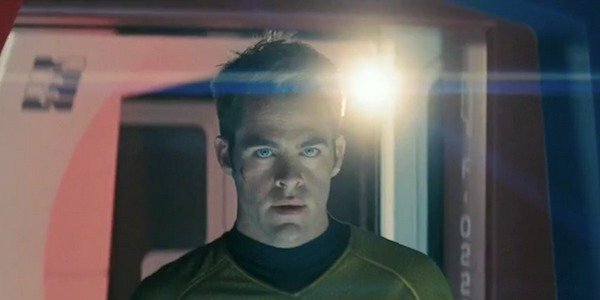 Hopefully, J.J. Abrams has completely kicked the lens flare habit and won’t relapse. While he won’t be directing any more of the new Star Wars films, as an executive producer, he stills has significant influence, and could probably add lens flares if he wanted to.